Ooooh! Those are some great colors and such a cute photo too! Wonderful photo, its so hard to get great young adult/teenage photos. Love the colors. Wow! 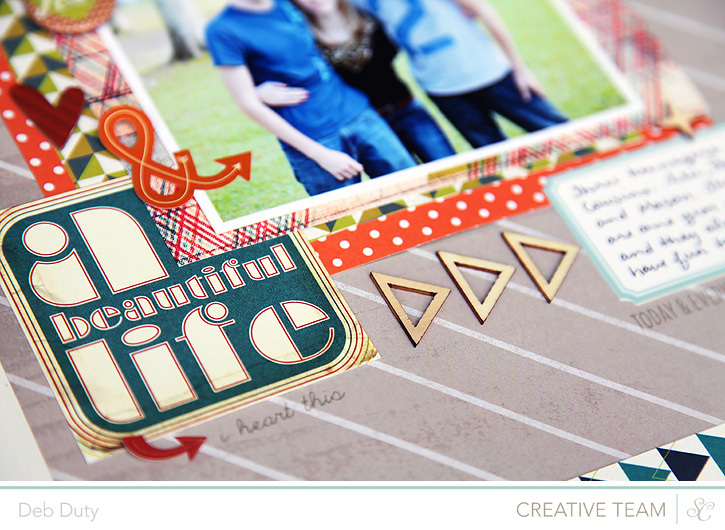 That's a FAB layout! GReat colors! 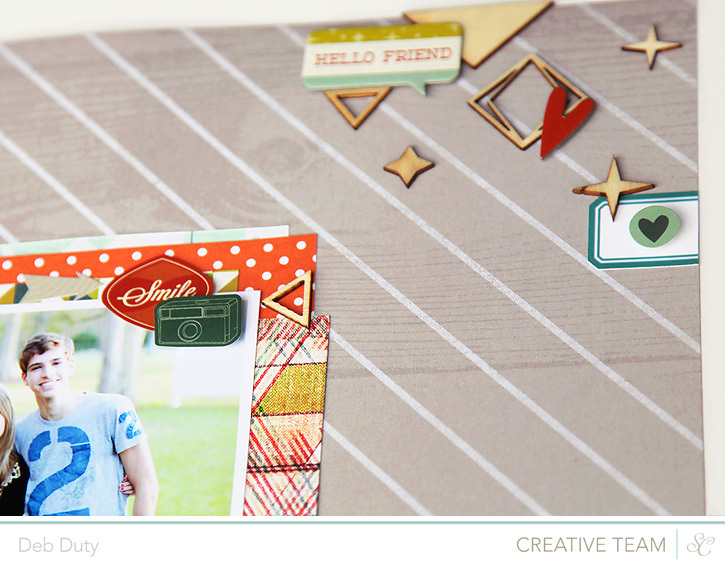 Love the colors - they really pull it all together! 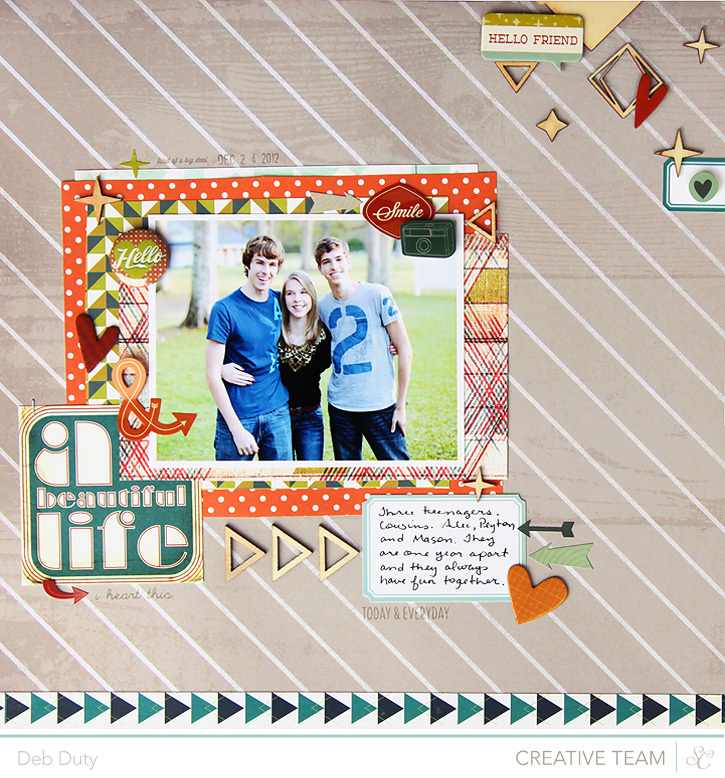 I am so impressed with scrapbookers. So impressed : ). I love this page. I am so glad God gave you your boys. Great to meet you at CHA! 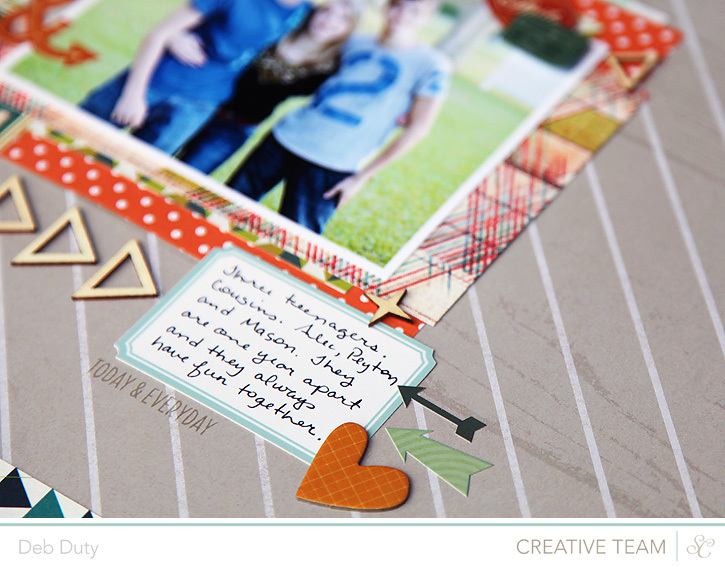 I love your pages - nice to meet another mom who scrapbooks teen boys like me! That's a great page! I love how the background paper draws your eyes straight to the photo. Great job, Deb!